Update: Looking for 2014's best Black Friday Deals? Head over to this year's post. 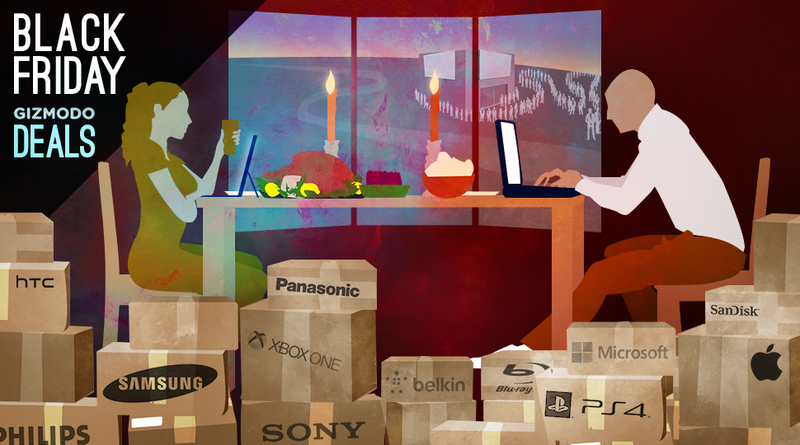 Welcome to our coverage of all the best Black Friday deals. Deals are continuing to pour in, and this post will be constantly updated right up to the point when our Cyber Monday guide goes live. Follow us on Twitter, keep your finger on that reload button, and get in the comments to tell us about the best deals you've found, ask questions, or just commiserate about the inevitable craziness. The Commerce Team's pick for best laptop. MacBook Pro with Retina Display 13" 128GB/4GB ($1100) | Best Buy | Currently sold out online, but $200 off. Apple MacBook pro with Retina Display 15" 256GB/8GB ($1849) | Amazon | Also at Best Buy, $150 off. Apple MacBook Pro with Retina Display 15" 512GB/16Gb ($2450) | Best Buy | $150 off. Canon T3i, SanDisk Extreme 32 GB SDHC Card, Holster Case ($429) | Amazon | Other bundle options available, see page for promo codes.